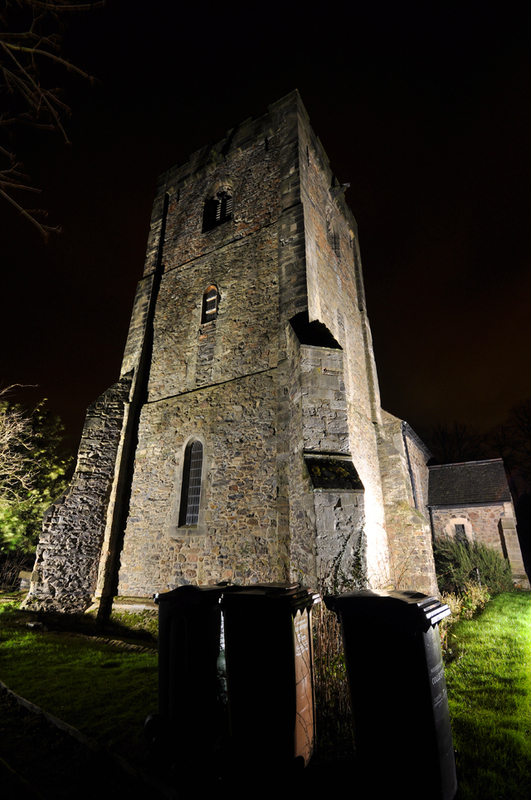 The floodlit bell tower and graveyard at All Saint's Church, Thurcaston, Leicestershire (complete with ominous wheelie bins). I really like the tower. It looks like a large version of a smaller Spanish tower in Daytona Beach that is a relic of an old settlement. (I think. I never did search it out). 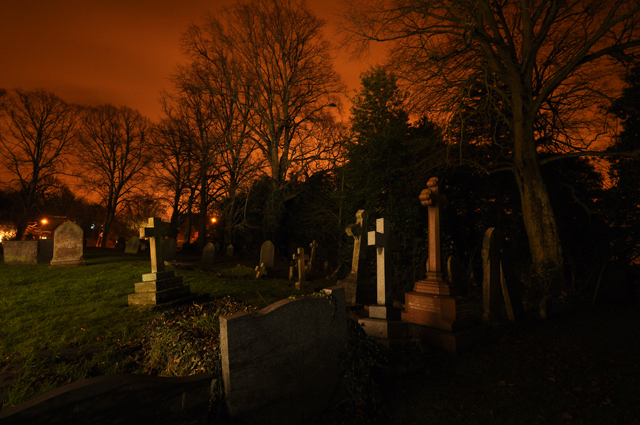 Very dramatic sky in the cemetery.